McMaster is naming Stefan Ptaszek as its new head football coach, welcoming the Vanier Cup champion back to lead the Marauders team. Ptaszek returns to McMaster where he led the team to its first and only Vanier Cup championship. He was head football coach from 2006-2015, winning the national championship in 2011 and returning to the Vanier Cup game in 2012 and again in 2014. His teams won Yates Cups three times during his first tenure as McMaster coach. He held the record for longest winning streak in CIS history – 21 games, spanning the 2011 and 2012 seasons. He was a wide receiver on the Laurier squad that won the championship in 1991 and was offensive co-ordinator on Laurier’s 2005 Vanier Cup winning team. 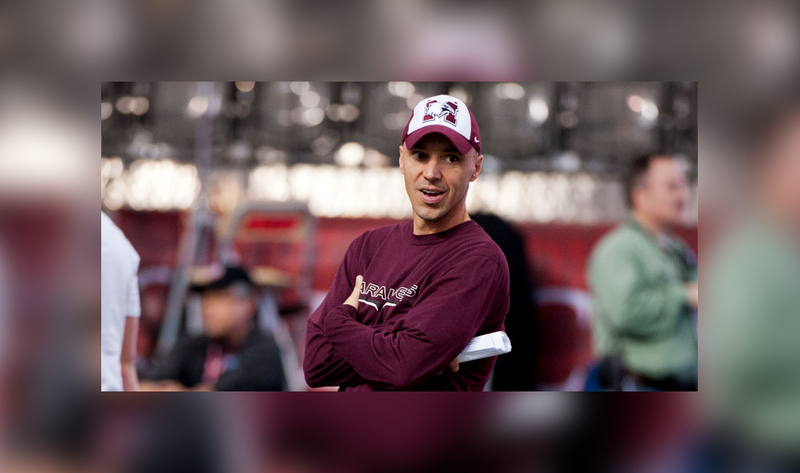 Coach Ptaszek returns to McMaster following a season spent as the Offensive Coordinator at the University of British Columbia and two years as Offensive Coordinator and Receivers coach with the Hamilton Tiger-Cats. He is a two-time OUA Coach of the year and was CIS Coach of the year in 2012.